Insulation Replacement – What are the benefits? Insulating your attic is highly recommend to save you on energy bills and properly keep your home warm in the winter and cool in the summer. Keeping your attic properly insulated can cut energy bills up to 30% but just because you have insulation in your attic does not mean it is doing the job it was designed to do. What many homeowners fail to do is check when they need to replace the insulation in their attics. Insulation replacement may not only save you money on monthly bills but can also prevent a number of harmful situation you may be completely unaware of. The insulation in your attic should be keeping the warm air out of your home in the summer or warmer months and should be keeping the warmer air in during the winter months. When your home becomes too warm quickly in the warmer months or if the attic is too cold during the colder months this is a good sign your attic insulation needs to be removed. Not only is it more energy efficient for you to have your old insulation removed and replaced it can also help prevent and detect a number of other issue you may be clueless about. If you are unsure when the last time was that you attic was insulated chances are it is too old and damaged to do the job it is meant to do and this can be costing you money. Old and damaged insulation in your attic can also be housing a number of contaminants left from rodents. These contaminants can be incredibly harmful to your health because a number of diseases and bacteria. This can grow and spread throughout your home. If your attic has an odor it is a sure sign that your attic insulation has been affected by rodents or other pests that can be secretly crawling in your home. Having this invested insulation removed can be incredibly beneficial for your health. Old attic insulation can also affect the structure of your home. When you leave insulation ignored it could cause damage to beams or wood frames where mold and rotting can occur. To ensure that the structure of your home remains safe your old insulation should be professionally removed and replaced as soon as possible. If you think your attic insulation may need to be removed and replaced you should call a professional attic insulation company to have your old insulation assessed. It is much safer and recommended you rely on a trusted professional to determine whether your insulation meets the recommendation for attic insulation. 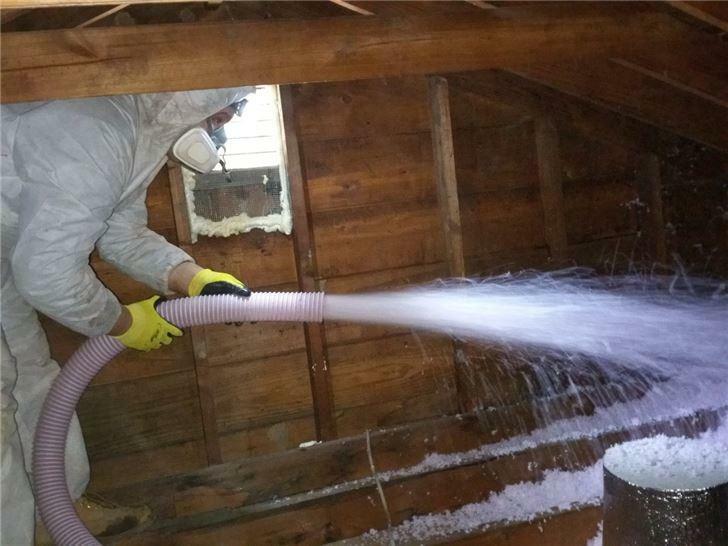 Attic Pro is a professional attic insulation company that serves the Houston and surrounding areas. They can assist you on your attic insulation removal, cleanup and replacement. Attic Pro offers a free inspection of your attic insulation and can safely remove your old attic insulation. Call Attic Pro at 884-892-8842 to have your old and inefficient attic insulation replaced.